CSC’s Montréal Chapter digs archeological remains! On Wednesday April 18, CSC’s Montréal Chapter will host its third dinner-conference of 2018. The event, which will address the challenge of architectural remains onsite, will be held at the usual venue, namely Québec Tourism and Hotel Institute, from 6 to 8 p.m. 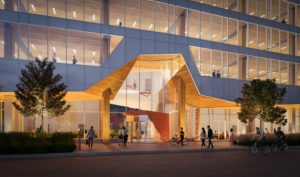 The 77 Wade Avenue building in Toronto aims to be among the tallest modern mass timber office and commercial buildings in Canada targeting Leadership in Energy and Environmental Design (LEED) Gold certification. Photos courtesy Klokwerk Digital Inc. 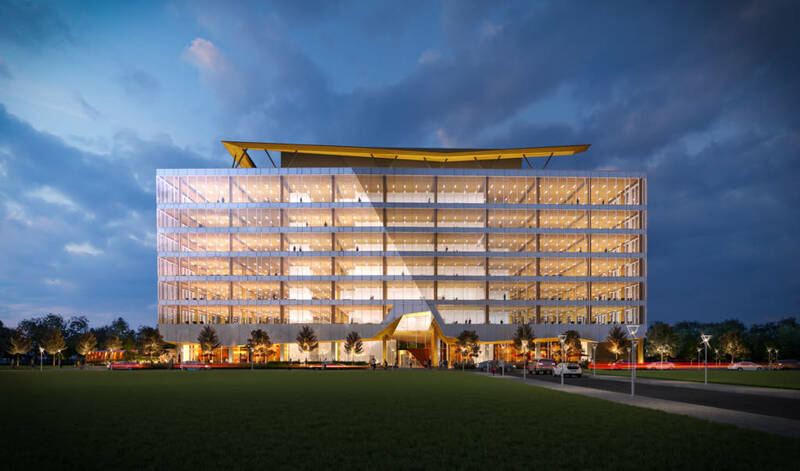 Designed by Bogdan Newman Caranci (BNC) Architecture and Urban Design, at eight storeys and approximately 13,935 m2 (150,000 sf), the building proposes a purposefully designed and built office with collaboration space for the new digital age industrial worker. The key design intent is to fuse contrasting materials to enhance the warmth of an exposed wood structure comprised of composite mass timber, concrete, and steel structural assemblies. 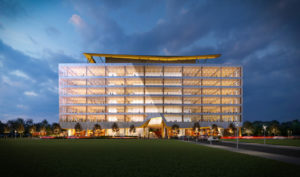 The building’s envelope will be clad in a folded plain curtain wall to show the structure within, while adding a dynamic form for the streetscape. The approach to the building is unified with an origami-based geometric soffit and organic front entrance, retail, and collaboration spaces. The angled fold of the curtain wall along the façade engages with the movement of the sun, with one side appearing transparent and the other appearing opaque depending on the angle of reflection. To show the elongated rectangular form, the massing spans 80 m (262 ft along Wade Avenue and only 24 m (79 ft) deep into the site. Instead of a condensed core typical of most office floorplates, the services are extended along a linear strip with a central throughway to connect the west and east sides of the core, intended to maximize natural light penetration. 77 Wade Avenue presents the opportunity to fuse design concept, material use, and building systems. Timber, steel, and a concrete hybrid structural system are all used to achieve this objective. Wood columns and exposed nail-laminated timber (NLT) decks are used to showcase the use of wood. In most heavy timber construction, a large portion of the structure is covered by gypsum wall board to achieve mandatory fire ratings. Early in the project, structural and fire code research was conducted to get the optimal use of wood as a structural and finishing material without compromising the extent of its exposure. A high-performance glass curtain wall with a ceramic frit pattern to minimize heat gain was introduced to the façade of the building. Shadow box spandrel glazing was added to give a layer of depth and shadow to the assembly. The frit and spandrel are proportioned to ensure a high level of internal privacy while still being able to see the NLT ceiling from the exterior. The project underwent an energy modelling exercise from which building systems were selected on the basis of energy efficiency and optimization. Sustainably sourced timber, green roof implementation, and green construction practices are proposed to introduce sustainable design elements.